Hotel Black Knight Inn, Red Deer, Canada - Lowest Rate Guaranteed! With a stay at Black Knight Inn, you'll be centrally located in Red Deer, within a 10-minute drive of Red Deer College and Alberta Sports Hall of Fame & Museum. 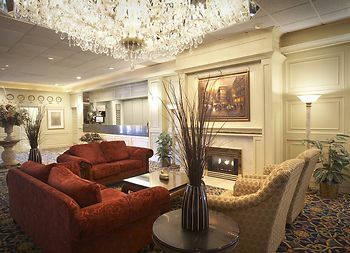 This hotel is 1.6 mi (2.5 km) from Red Deer City Hall and 1.6 mi (2.6 km) from Westerner Park. The hotel staff were extremely helpful in resolving an issue at check-in for us. I have stayed here a number is times. Great staff, quiet and excellent rooms. Food in the restaurant or pub is excellent. Best steak sandwich ever. Enjoy all aspects of the hotel. Location is perfect for us. I loved the cozy, firm beds---very comfortable. I also found the atmosphere in the hotel calming and hospitable. I like to have a window to open for fresh air. Prefer it to air conditioning, but understand you have a policy that does not allow for open windows. I have seen hotels, seniors residences where easily opened windows may not be a good idea, but a small narrow window that opens at the top of the large pane can at least allow for some fresh air. A thought for when you need to change your windows. Very impressed with all aspects of the hotel. No complaints about anything in the room - very comfortable. Luggage trolleys were available both times we needed them. Neither of the ice machines worked, so we had to go to the restaurant to obtain ice. Good food. good service.excellent public washrooms.